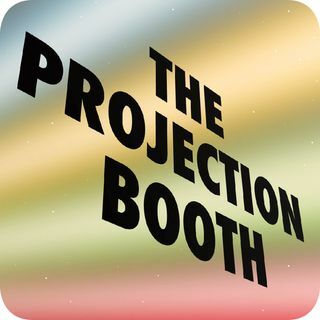 The Projection Booth Podcast is a weekly podcast discussing films from a wide variety of genres with in-depth critical analysis. Dreams for Sale focuses on the revival of Rod Serling's The Twilight Zone in the mid-'80s. This anthology show brought together a host of diverse talent including Harlan Ellison, Wes Craven, William Friedkin, Rockne S. O'Bannon, and more. Episodes are hosted by Chris Stachiw (Kulture Shocked), Mike White (The Projection ... See More Booth), and Father Malone. “The Night Stalker” AKA “Kolchak: The Night Stalker” is a seminal show that has lead to an entire subgenre of entertainment, “The Paranormal Investigator.” From “Scooby Doo” to “Supernatural” (and beyond), the paranormal investigator came to prominence with “The X-Files” but this show and many others owe a debt to the man in the blue ... See More suit, Carl Kolchak. The Projection Booth has been recognized as a premier film podcast by The Washington Post, The A.V. Club, IndieWire, Entertainment Weekly, and Filmmaker Magazine. With over 400 episodes to date and an ever-growing fan base, The Projection Booth regularly attracts special guest talent eager to discuss their past gems, including Elliott ... See More Gould, John Waters, Ed Harris, Luke Wilson, Chris Elliott, Ellen Burstyn, Bruce Dern, Nicholas Meyer, William Friedkin, Julie Taymor, Joe Dante, and more. The podcast features discussions of films from a wide variety of genres with in-depth critical analysis.